Doc Hudson. By: LowriderGirl, a picture i found on Devinart that she made. 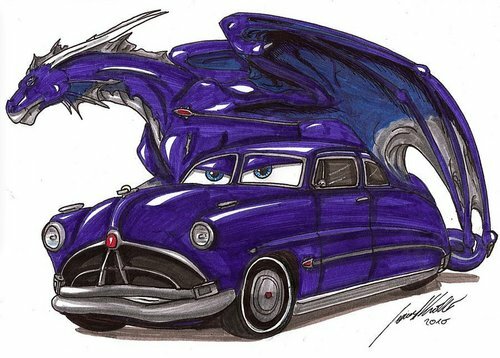 HD Wallpaper and background images in the डिज़्नी पिक्सार कार्स club tagged: doc hudson cars fan art. This डिज़्नी पिक्सार कार्स fan art might contain पालकी, सैलून, and सेडान.